On 24th May 2011, Dr Levy consultant paediatrician at Tameside Hospital Foundation Trust and lecturer at the University of Manchester and Edge Hill university, Dr Hannan and Abdul Salam (Asian Diabetes Support Worker and translator) presented to a group of patients in Hyde on Asthma - what every kid and parent should know. Never run out of your inhalers / medications. 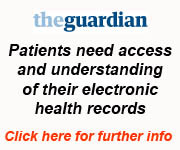 Read what your nurse / GP has written in your electronic health records. Thats where you will find personal information that is relevant to you and what your nurse or doctor have identified- currently just under 70% of asthma patients at the practice can do this. Online services including ordering prescriptions online and booking appointments with the nurse as well as seeing what is in your record makes this much easier and safer too. You no longer have to try to remember everything and you can share this with your carer or family too if you wish.